No one in my family much feels like big celebrations at the moment but it feels wrong to let birthdays go by without at least a cake. 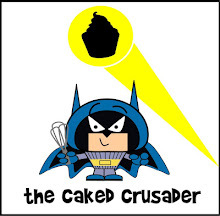 The CCD (Caked Crusader’s Da) is partial to coffee cake and, when I gave him carte blanche to select his birthday cake flavour, it was – predictably – his first choice. I don’t like coffee and what always surprises me is that when you say that to people (who like coffee), they will always respond with, “oh, but I bet you love the smell – that’s the best bit”. Er, no. It disgusts me just as much as the taste. I don’t think people make that comment about any other food or drink; if you told someone you didn’t like garlic for example, they wouldn’t try and badger you into admitting you enjoyed its pungent aroma. I stoked up the coffee element by using espresso coffee from Mr CC’s Nespresso machine. I used 3 capsule’s worth of coffee spread across the cake and buttercream. However, I know that most people probably don’t have this option so the recipe below sets out instant coffee quantities. It does seem quite a ‘punchy’ cake and I think, from memory, uses more coffee than most similar recipes. Line two loose bottomed 20cm sandwich tins with baking paper. Place the coffee granules in a small bowl and stir in the boiling water until you have no lumps left. Put to one side to cool. In a large bowl beat together the butter and sugar until light and fluffy. Don’t skimp on this stage as this is where all the air gets into the mix. Beat in the eggs one at a time, adding some of the flour if the mixture looks like it might curdle. Stir in the flour and the chopped walnuts. Stir in the cooled coffee. Spoon into the two prepared tins, trying to make the distribution as even as possible. Level the surfaces and bake for approximately 25 minutes or until a skewer inserted into the sponges comes out clean. Place the cakes, in their tins, on a wire cooling rack and de-tin when they are cool enough to handle safely. The leave to cool completely on the wire rack. Now make the buttercream: As before, make up the coffee with the boiling water in a separate bowl and put to one side to cool. In a large bowl beat the butter on its own until it is light and whippy. Add the icing sugar and stir, at first manually, to incorporate. When the icing sugar is mixed in you can use the electric mixer – taking this cautious approach stops your kitchen being dusted in a cloud of icing sugar! Beat until light and whippy. A good test is to take a small amount of the mixture and press against the roof of your mouth – if it feels grainy it needs more beating. Place one of the sponges on the serving plate and spread a scant 1/3 of the buttercream over it. Place the other sponge on top and spread a similar amount on top of that. Use the remaining buttercream to cover the sides of the cake. Scatter the chopped walnuts on top for decoration. I love this cake always wanna make something like this normallly my kids (are twins) chyoose chocolate cake LOL is nice but I love make differents cakes and love nuts in it!! Look lovely! Happy Birthday to the CCD. I do wish I liked coffee, but cannot bring myself to! It's really bizarre but I find that a standard cake but with coffee in is always somehow lighter than the cake without - weird! Your cake looks fab as always. The cake (as always) looks yummy. Oh my this looks fab!!! I do believe I won your" Baked and Delicious" competition with a walnut cake suggestion, it is my fab, so it would be rude not to try this recipe too. I can't stand coffee cake either but my family always ask for it! Looks lovely and tall though, love tall cakes. I'm always so impressed by your buttercream CC. 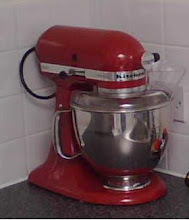 I've only just got myself a kitchenaid and can't work out how to get mine to look as good a s yours! Do you kitchenaid your buttercream or do it by hand? That's very kind of you! I always make my buttercream in the kitchenaid. I use the flat paddle beater not the balloon whisk, and start with the butter on its own. Whisk this until it's light and pale and almost looks like (over)whipped cream. Then add the icing sugar. I did bake something else...which I'll post later in the week. I have long given up that battle - to (mis)quote The Clash: I fought the bulge, and the bulge won! Belated condolences I have been away setting up my baking business formally. Birthdays are hard afterwards but still sharing good things with your family are important. Walnut and coffee happens to be one of my favs after lemon of course. Looks wonderful! That looks like a beautiful cake! Happy Birthday CCD! Coffee and Walnut cake is in my top ten most delicious cakes, but then I am a coffee enthusiast. Great cake CC. Looks beautiful. Coffee and walnut cake is my second favourite cake (after chocolate cake). Like you, I am not a massive fan of coffee flavoured cake (though I do like drinking good coffee made by a barista), but this cake does look wonderful. Hope your Da had a fabulous birthday.